Trends are changing and curb appeal of the offices matter a lot these days. It has become important for businesses to improve the overall look of their offices in order to attract more customers and make their workplaces look presentable. Be it suspended ceilings or office glass partitions, you have to choose the best so that the main purpose of these items could be achieved. We, KP Ceilings Ltd., are offering glass office partitions at the best prices. We are offering different types of glass partitions and suspended ceilings in different styles and designs. Not only are we offering the products but installation services as well. Our expert and professional team members can complete the job within the assigned time. We always strive to provide quick, efficient, and effective, ceiling services at a market competitive rate. Having experience of more than 12 years in the industry, we know the how demanding this job can be and this is the reason why we hire the best professionals in our team. Magic Glass Manchester is one of the most sought glass types. The fact that it maintains your privacy and provides a great atmosphere, makes it a great option among others. It is widely used for office glass partitions, however, some people also use it in their homes to bring a touch of class in it. More and more people are using this glass in their homes in order to make their homes look great. By using these glass partitions, you can save a lot of money on the energy expenses as well. Magic glass Manchester does not block the light but only the vision. As a result, you will be able to utilize the daylight and avoid using bulbs when the sun is out. Some magic glasses also help in maintaining the temperature of the homes. Moreover, it will also make the home look spacious. Having concrete partitions in your homes can really make you feel like being restricted. Using Magic Glass Manchester, a feeling of living together can be established among the family members without disturbing the privacy of any member. 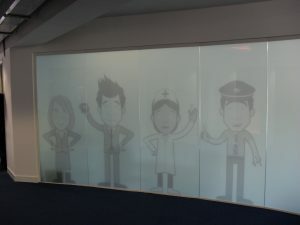 If you want to bring that X-factor to your workplace, you should look for Magic Glass Manchester. Switchable Glass, also known as electronically switchable glass, is one of the easiest ways to divide a space while increasing its potential. Using switchable glass Manchester, you can create a private environment on demand. This innovative technology is ideal for those offices where the nature of work demands privacy at times and collaboration as well. The surface of these glass partitions can be switched from clear to opaque and back again. It can be done with either wall switches, remote controls, movement or light sensors, or even sounds. It depends on you which option you want to utilize. Switchable glass partitions offer best of both worlds to the users. You have the power to alternate between intimate private enclosures or large open spaces within a second. No matter if it’s a conference or a private meeting, you can create the best environment in moments. These are also known as smart glass or privacy glass. Manchester, as we all know, is one of the most competitive cities when it comes to running a business. This is the reason why you need to make your office look as appealing as possible and smart glass Manchester can really help you achieve your target. If you are looking for some reasons to choose switchable glass Manchester for your office, here are a few of those. No one wants to work in an office that has old school type building. As we mentioned earlier, trends have changed and it is becoming a norm for modern offices to have glass partitions. Glass partitions make the offices look great and promote a sense of working collaboratively. It also feels nice to the eyes seeing people working behind the partitions. All the businesses want to control the costs and improve the profitability. At some time during carrying out changes in the business structure, businesses may have to change the appearance of the office to implement the change effectively. However, they cannot go for expensive options like making new walls or partitions. Moreover, these options are messy also and can prove to be unhealthy for the employees. Smart glass Manchester is a cost-effective option that is also very safe for sensitive office equipment. 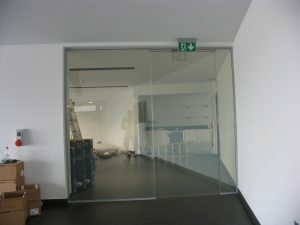 Glass partitions are important for the work environment as well. They are an ideal way to promote an informal work environment. Magic Glass Manchester keeps the employees segregated while making them feel together. During the break hours, they can talk to each other and enjoy the lunch together. When there is a meeting in the office, the switchable glass can be switched to clear from opaque and back again when it is no longer needed. 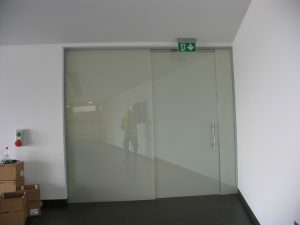 Switchable glass Manchester is a durable option. They have layers of protection that protect the glass from any possible damage. As compared to other options like wooden partitions, these can make your office look as beautiful as you want. The glass partitions are supported well with frames and our team makes sure they stay intact at the installed location.